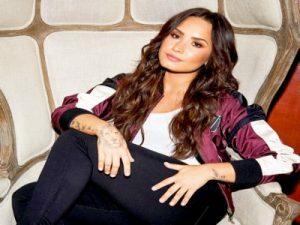 “Sober” is the lead single from Demi Lovato’s seventh studio album, after the song was uploaded to her official Youtube account. The song provides an open confession about facing recent challenges regarding her six-year sobriety. She made her achievement public on Twitter in March 2018: “Just officially turned 6 years sober. So grateful for another year of joy, health and happiness. It IS possible”.